The Chronicles of Cardigan: This site was hacked! Well, almost...by a Kelpie mix named Mort. This site was hacked! Well, almost...by a Kelpie mix named Mort. Because the amazing author of Chronicles of Cardigan is away on vacation, I am here to tell you how this blog almost became HACKED. That’s right... hacked. So how did this almost happen? 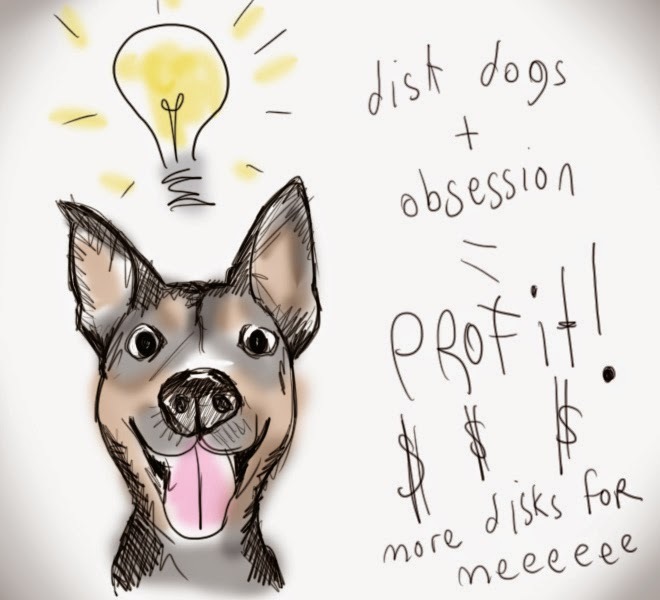 Let’s go back a bit, and I'll tell you a little story about a dog obsessed by discs who had his ultimate plan foiled by a puggle. It was a calm day, to begin with. That was until the corgis were locked up by a certain Kelpie mix called Mort. 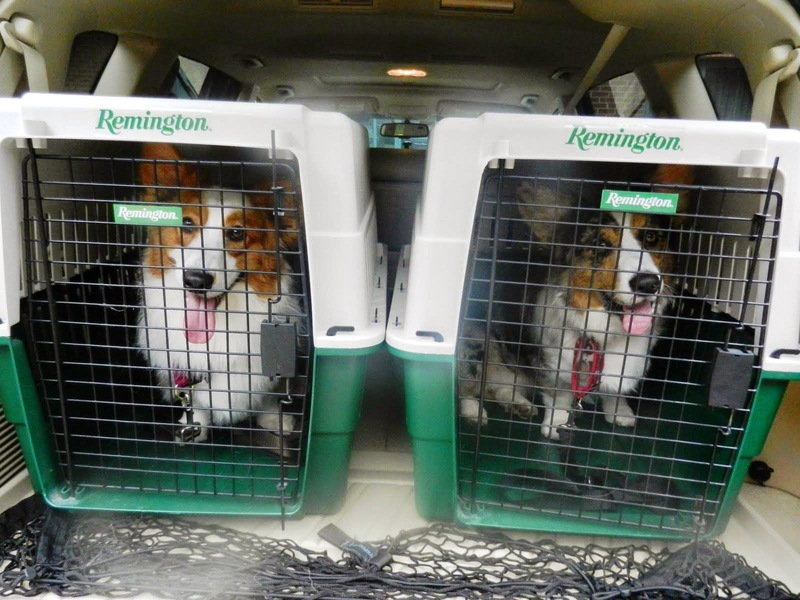 He may have had a bit of help, or used magic to get those cute bundles of fur locked up, but the point is that the corgis were relegated to their crates so their website could be hijacked in the most tragic of proportions. You see, Mort had a plan. And his plan was this. You might not know him too well, but he is a disc addict. In fact, he makes his human sew and make decals to support this habit. But making her do so didn’t net him enough discs (I guess she doesn't sew or decal fast enough), so he thought to take matters into his own paws. 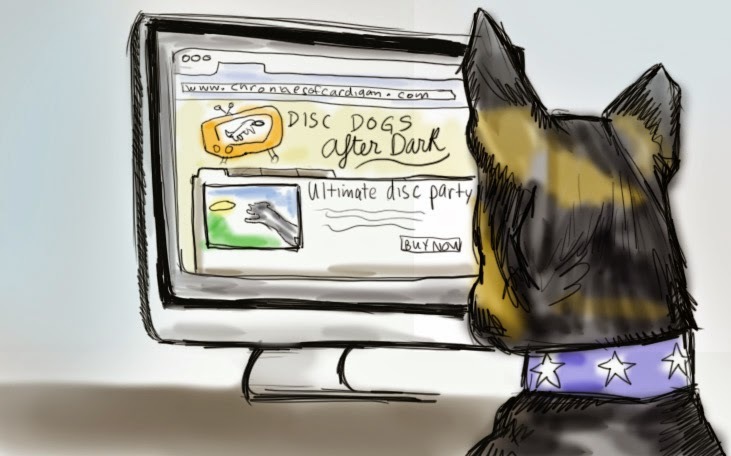 He decided he would create an online resource for other disc addicts like himself, where he could provide videos of dogs catching discs, and perhaps other thrown objects. And he’d charge per view. And watch them himself, in dimly lit rooms. Mort thought he would make MILLIONS and take over the world! DISC DISRUPTION! 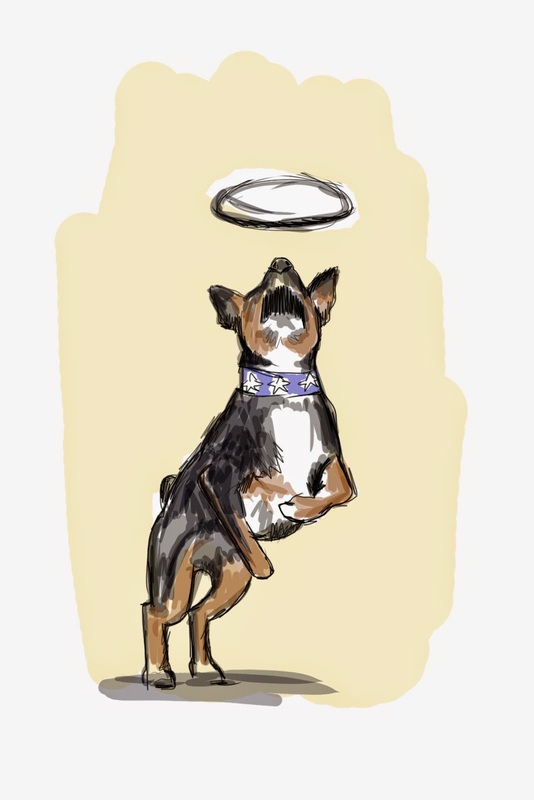 But most importantly, be able to purchase more discs and maybe bribe his human to take him to the park more. So off Mort went to Chronicles of Cardigan Headquarters, with it’s decreased security levels, to procure a website of his very own. A website with many lovely followers already who may appreciate a tossed toy or two. Perhaps even pay to watch it over and over again. 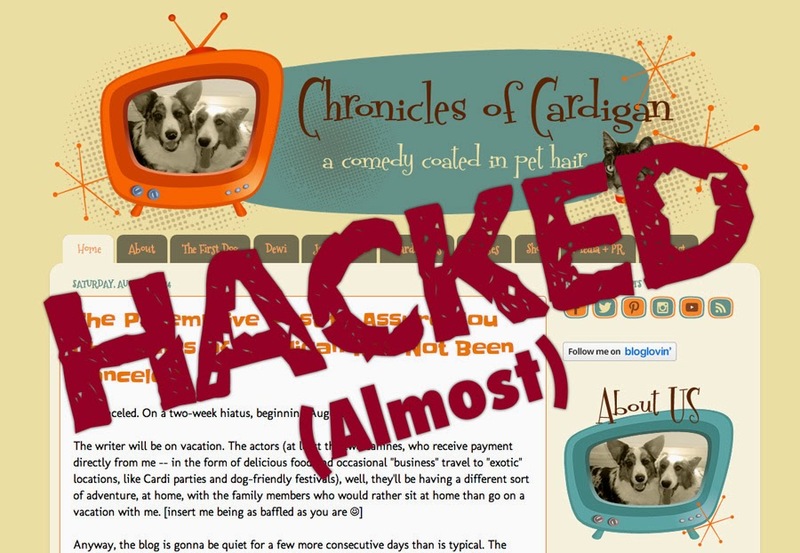 The corgis were detained, and Mort went to town on modifying the website and uploading his disc videos and adding affiliate programs and PPC advertising for the brand new hijacked website. A site that might appeal to the masses. A site that would take over the world so he could purchase more plastic. It’s KOLCHAK PUGGLE TO THE RESCUE! 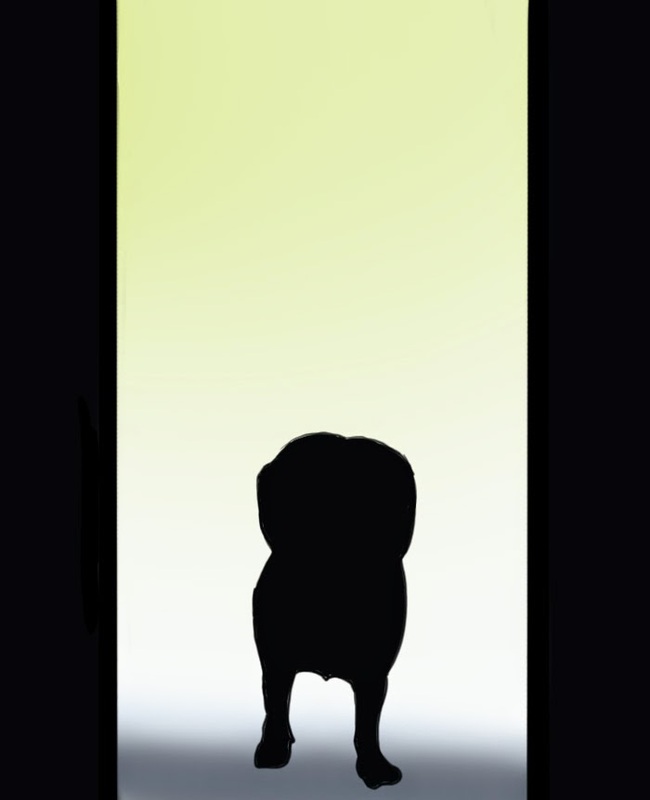 And how, pray tell, did Mort get thwarted by this puggle? Well it was simple. Koly threw a disc for him. And Mort took off to fetch it. Single track mind, my friends. Single track mind. Jen deHaan is graphic designer, small business owner, and dog person living in Bay Area, California who regularly blogs at DOGthusiast.com. Jen enjoys learning about dog training and behavior, and has taken several courses and seminars on it since 2010. It all started with a great dog called Mikey (aka "dude"), loved and lost but remembered forever. Jen also runs a freelance business focusing on graphic, web, and UI design at FoundPixel (doing stuff better than these rough sketches! 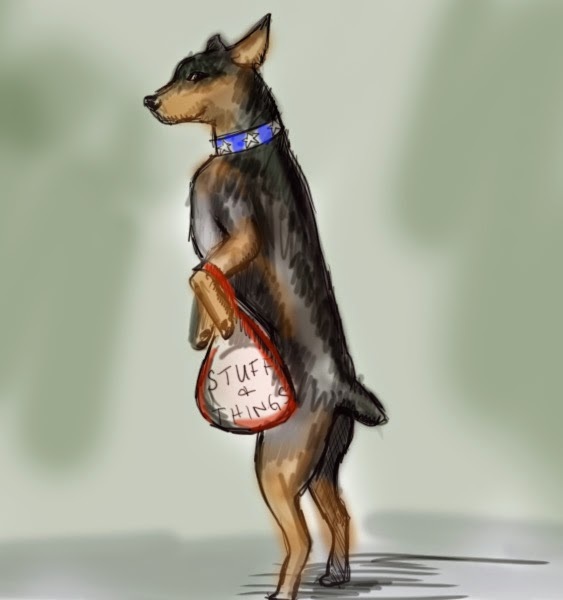 ), and operates a small business creating hand crafted dog products called Stylish Canine. Writer at DOGthusiast and PlantBasedRecipe.com. @stylishcanine. @ohmort, and @plantbasedrecipe on Instagram. BOL. Poor Mort thwarted by a puggle...So funny. LOL Mort's plan est Mort. Yep pugged by a puggy. Nice one. Love the art work. Have a terrific Tuesday. Oh no! The Fun Police showed up! Love the graphics!! Wonderful little story-totally made my day! Especially the ending =') Oh Mort!